Perfect size for carrying with you. Tabbed telephone/address section for convenience in the office, at home or on the road. Memo pad at hand for notetaking. Perfect size for carrying with you. Ruled for hourly appointments with space for evening appointments. 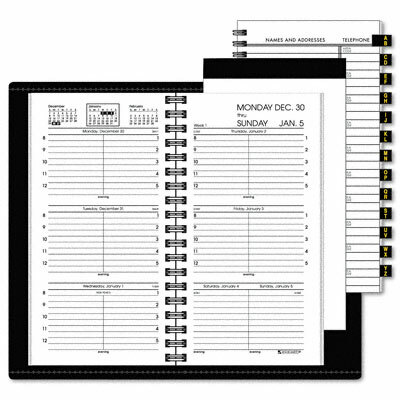 Tabbed telephone/address section for convenience in the office, at home or on the road. Memo pad at hand for notetaking.